Ian, a 26 year old entrepreneur from Colorado started playing the guitar at age of 19. 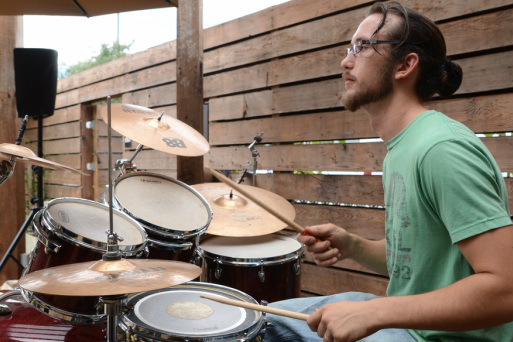 After self teaching the basics of music he joined up with a Grateful Dead Tribute Band. After playing with them for 6 months he grew tremendous amounts. He then started writing his own songs and playing at local Open Mics. In 2008 he and a few friends created Righteous Vibrations. Since then he has been playing under that group with several interchanging members. He continues to dedicate himself towards writing positive songs that inspire him and others to be better individuals. Born February 1992 in Rocklin,CA Chris started playing music at age 13. He kept at his passion for years, but it was not til he was out of school did he start to take off. He has lived in Lake County for 5 years and he calls it his home base. He has traveled all around the pacific coast and out to Hawaii gaining inspiration in his travels. He joined RVs in 2011 and plays in several other side projects. Rama Deva has been playing hand drums, didgeridoo, and percussion for the last 7 years. Previously he played bass guitar in the infamous Bay Area ska-punk-funk collaboration the Mahi-Mahis. Rama has studied African djembe with Baba Kar in San Diego, Indian Tablas with Rahis Khan in San Diego, and Latin drums & percussion with Dave Noland in Lakeport, Ca. Rama has extensive training in the healing arts for massage and yoga, all of which he claims helps his rhythm. Rama Deva has also worked with Brother Love Drums in San Diego blending spirituality and interactive musical sessions and co-created the Soul Circle, a rhythmic journey through the Chakras involving live drumming, yoga, breath, and dance. Rama has sat in with and been deeply inspired by many drum circles and didj jams and he continues to search them out to feed his addiction. Much of his style is spontaneous and very expressive, blending traditional and original. Rama currently resides in Cobb, Ca and runs the Yoga Shack with his wife Sarah in the Clearlake Riviera community. 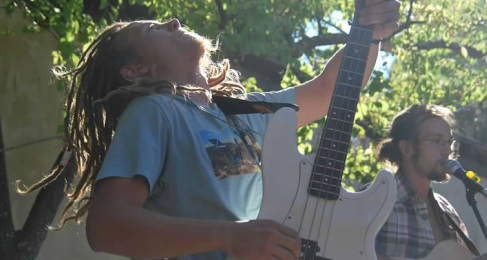 He plays hand drums for Righteous Vibrations, Lucas Prana & the Gypsy Vayus, and Sacred Lake Kirtan.